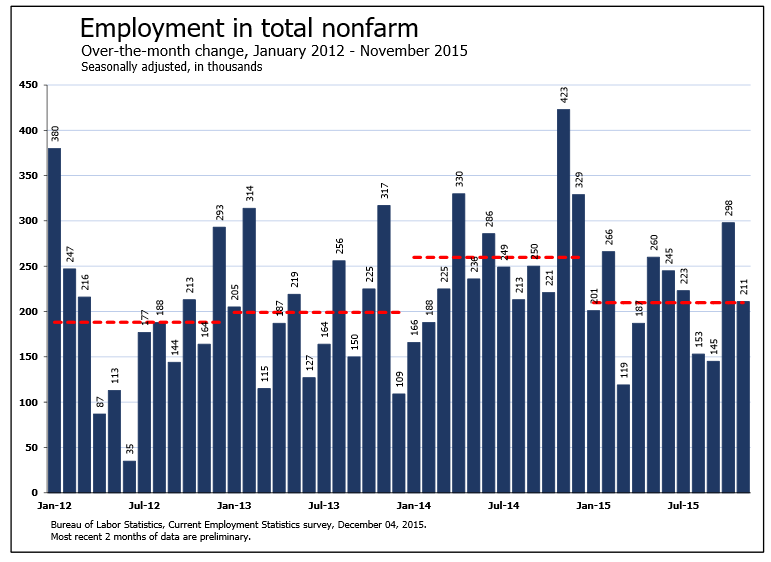 Following last month's payroll surge comes a second strong month. The Bloomberg Consensus estimate was 190,000 jobs and the headline total was 211,000. 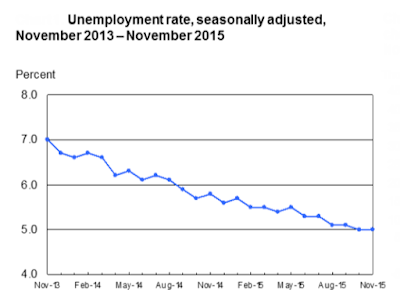 The unemployment rate was steady to 5.0%, the lowest since April 2008. A rate hike in December is now assured. 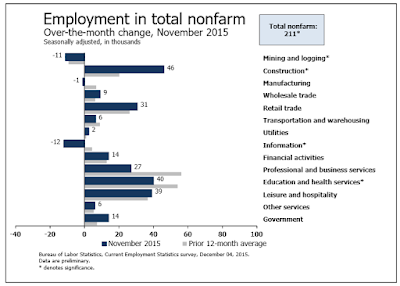 Please consider the Bureau of Labor Statistics (BLS) Current Employment Report. Average weekly hours of all private employees was down 0.1 hours to at 34.5 hours. 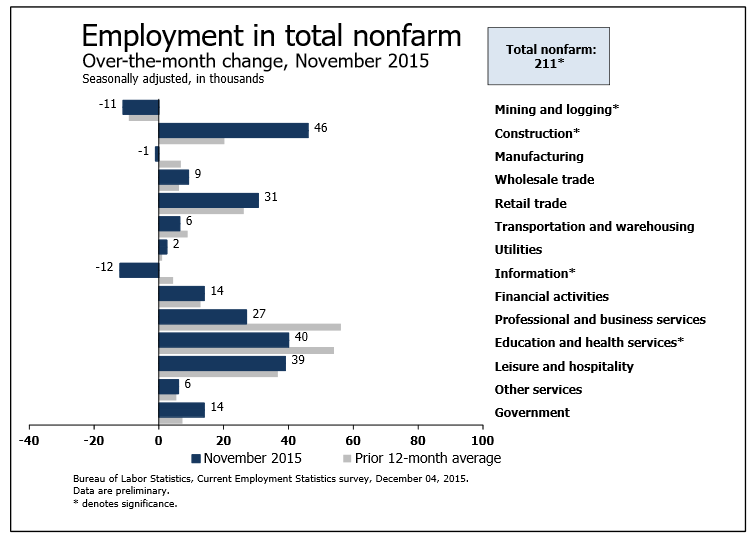 Average weekly hours of all private service-providing employees was unchanged at 33.4 hours. 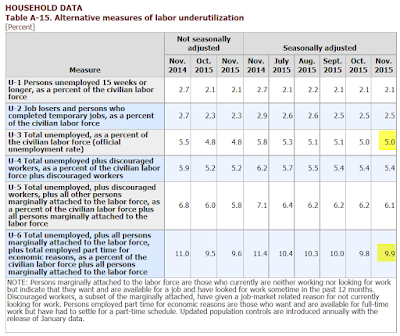 Average hourly earnings of private workers rose $0.01 to $21.19. Average hourly earnings of private service-providing employees rose $0.01 to $20.99. 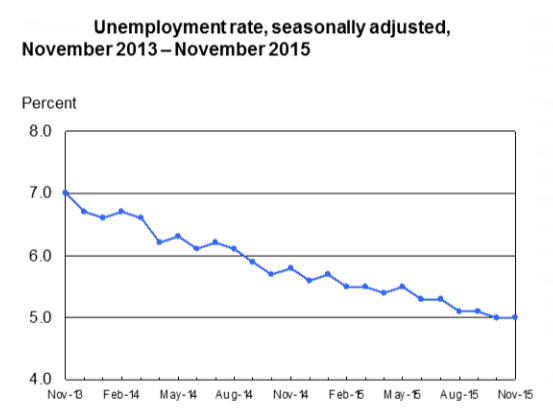 The official unemployment rate is 5.0%. 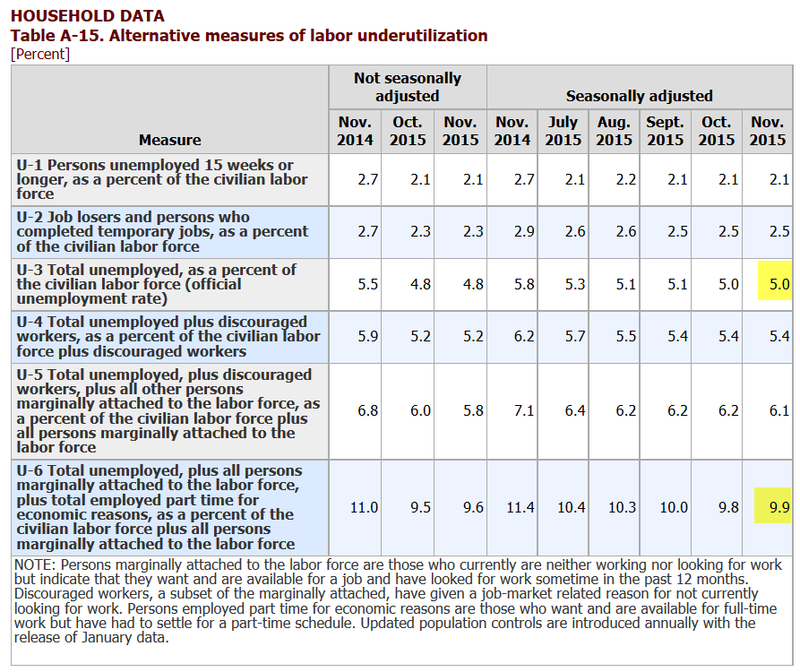 However, if you start counting all the people who want a job but gave up, all the people with part-time jobs that want a full-time job, all the people who dropped off the unemployment rolls because their unemployment benefits ran out, etc., you get a closer picture of what the unemployment rate is. That number is in the last row labeled U-6. U-6 is much higher at 9.9%. Both numbers would be way higher still, were it not for millions dropping out of the labor force over the past few years.